Corey Helford Gallery Presents: Jasmine Becket-Griffith "Magical Thinking"
Corey Helford Gallery is proud to premiere Jasmine Becket-Griffith’s newest solo show, Magical Thinking, opening Saturday, July 28 in the Main Gallery, with an opening reception from 7pm to 11pm. This is Becket-Griffith’s second solo show with Corey Helford. Two years in the making, Magical Thinking will premiere twenty new acrylic paintings and over a dozen small-scale studies, as well as the debut of her first-ever large-scale sculptural installation. Brand new, never-before-released Strangeling Pins will also be given away on a first-come, first-serve basis at the opening reception. 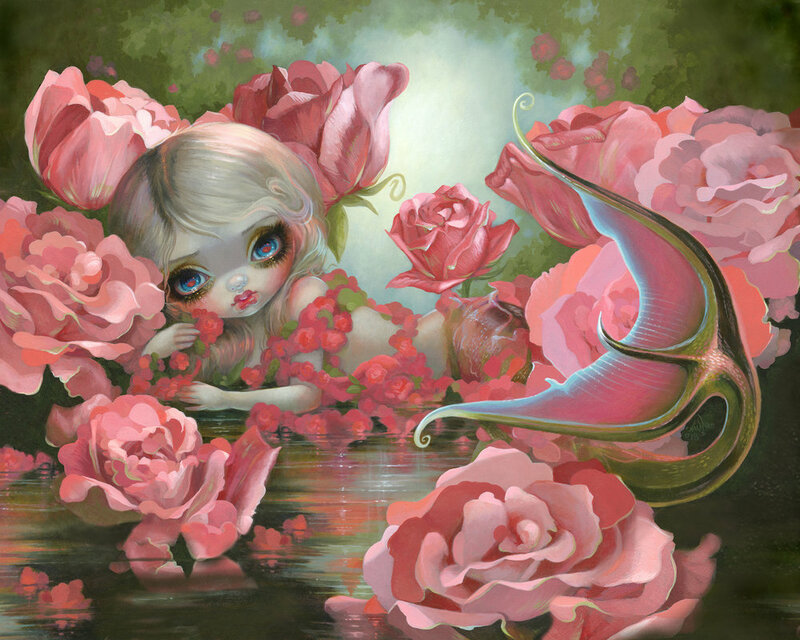 Jasmine Becket-Griffith’s Magical Thinking will open Saturday, July 28 from 7pm - 11pm in the Main Gallery. The reception is open to the public and the exhibit will be on view through September 1. The space is open Tuesday - Saturday, 12pm - 6pm. Corey Helford Gallery is located at 571 S. Anderson St. Los Angeles, CA 90033. Jasmine Becket-Griffith is a freelance artist who specializes in fairy, fantasy, and gothic artwork. Her preferred medium is acrylic on canvas or wood and her designs appear on many lines of licensed merchandise, notably through the chain stores Hot Topic and collectibles through the Bradford Group including co-branded Disney projects. She is also a staple at fantasy conventions, namely Dragon*Con, MegaCon (Orlando), and FaerieCon. Jasmine has been doing freelance co-branded artwork with the Walt Disney Company since 2006 as an independent contractor. Her artwork is on view at Pop Gallery, Orlando at Downtown Disney in the Walt Disney World Resort, and her licensed Disney character artwork can be found at Disneyland’s WonderGround Gallery in Anaheim, CA as well as Disney World’s Disney Marketplace Co-Op. She lives in Celebration, FL with her husband/assistant, author Matthew David Becket, and also maintains a small studio in London.